GLS48 Size: 6"x 2" .A classic look for him and for her. Large, sophisticated square shaped Sunglasses. Elegant line, beautiful colors, comfortable fit. 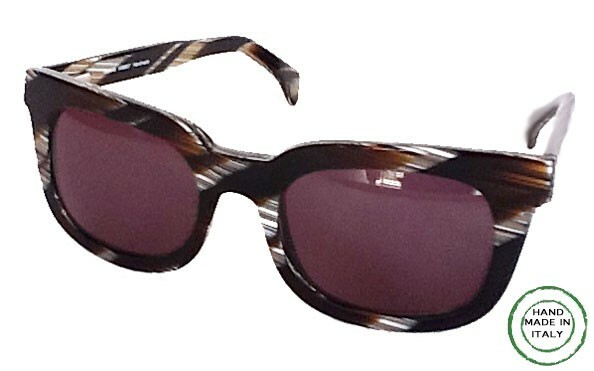 Wear these European sunglasses and hold your head high up, feels good to look great! Made in Italy. Also available as EYEGLASSES or as eyeglass frame only.